I’ve gone through a couple of boxes of Primer and realized I haven’t done a review on it yet, so I figured it’s time. 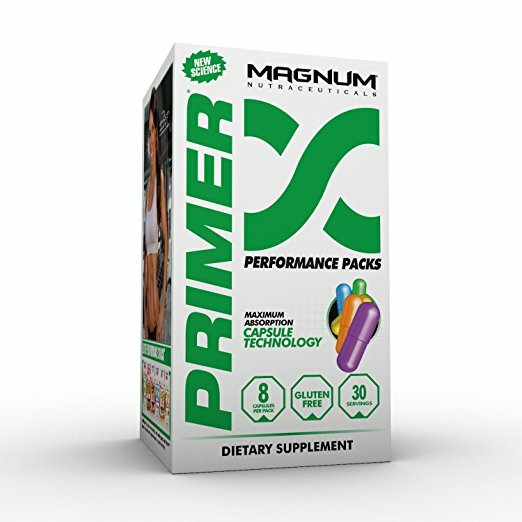 Suggested Use: Take 1 Magnum Primer Performance Pack with a meal, once per day. For optimal results, take it with the meal prior to training. For Primers’ full ingredient profile you can check it out here. Primer is a foundational supplement and has everything an athlete needs to reach new heights of excellence. The two-piece capsules are smaller and smoother making them easier to swallow. Training days: I take 1 packet with my lunch. Rest days: I take 1 packet with my largest meal, which for me is breakfast. When I first started taking Primer, I took it prior to my training sessions like the label recommends. But, I train very early in the morning and consume only a protein shake with oats prior to training. I also drink Magnum’s Opus and HI-5 during my training session. Needless to say I have tons of energy from those two products alone. After several weeks, I found I like taking Primer later in the day when I have more food in my stomach. This has been working out perfectly for me on training days. When I first read Primers ingredients, I was hooked. Primer has top quality ingredients in it and everything I needed in one packet! After being on it for several months now, I can honestly tell you that I am highly impressed with this product. Primer is highly effective and very affordable for the amount of top quality supplements that come in one little packet. I like the fact that the capsules are color coded. The capsules are very easy to swallow. The capsules are easy to digest; it opens with in 15 minutes of taking it and is readily absorbed through your stomach and into the intestines. Unlike some multivitamin packs and other micronutrients I have taken, I have had no gut issues with Primer. I like the fact that Primer has digestive enzymes in it; I feel it’s improved my overall digestion. Over the last several months my recovery time from training has improved. I definitely have more energy and feel my strength and performance have improved in the gym. I am more hydrated throughout the day. I also feel more alert later in the day. One of the biggest bonuses for me is Primers cell repair ingredients. But again, the overall profile of ingredients in this product is outstanding! Primer was initially the product that peaked my interest in Magnum’s products. I can’t say enough about this product; it packs everything I need into one little packet. Primer is definitely my foundational supplement. The list of ingredients is very extensive. I highly encourage you to read Primers label before placing your next supplement order. 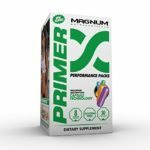 I hope you found this review of Magnum Nutraceuticals Primer helpful.